Just last week, yours truly and girlfriend's family travelled to Kuala Lumpur for a short holiday. We were supposed to head to Petaling Street, but was told that it closes at about 10pm. Peiyi's brother-in-law, Mark then suggested that we have our late dinner at one of the best food streets in Kuala Lumpur, Malaysia - Jalan Alor instead. Barbeque shrimps and lobsters, satays - all the fresh seafood, local eats and what's not, greeted us upon stepping into Jalan Alor. 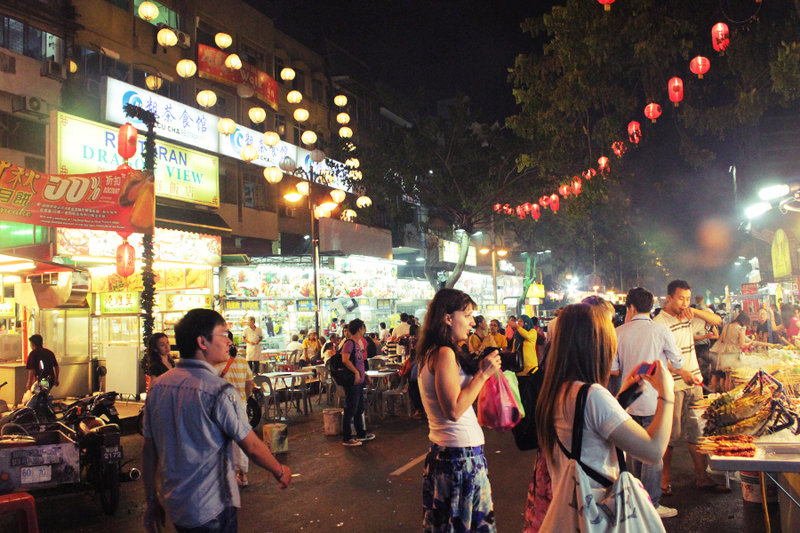 Hold your appetite and try not to be tempted by the stretch of eateries that lined this food street, for "the best things in life come to those who wait walk furthur". 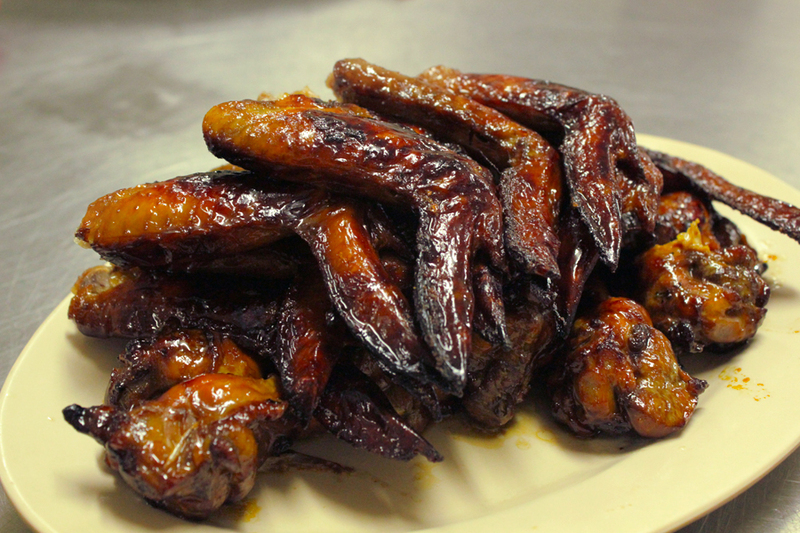 The answer to the best grilled chicken wings is none other than Wong Ah Wah. Located at the very end of the food street, this chinese restaurant sits conviniently beside two huge carparks, making parking whole lot easier. Diners can either enjoy their meal in the air-conditioned rooms or do it al-fresco. Look no furthur than the front page of the picture-loaded menu, if you are ordering the famous chicken wings of Jalan Alor (RM2.50 per piece). It's not surprising to see people ordering heaps and tonnes of those wings. They are marinated and grilled patiently over charcoal fire, allowing the sauce to be fully absorbed into the tender and tasteful meat. What's best is the little charred brown skin which brings a scent of burnt fragrance. Don't tell me that you have been here unless you tried this piece of paradise. 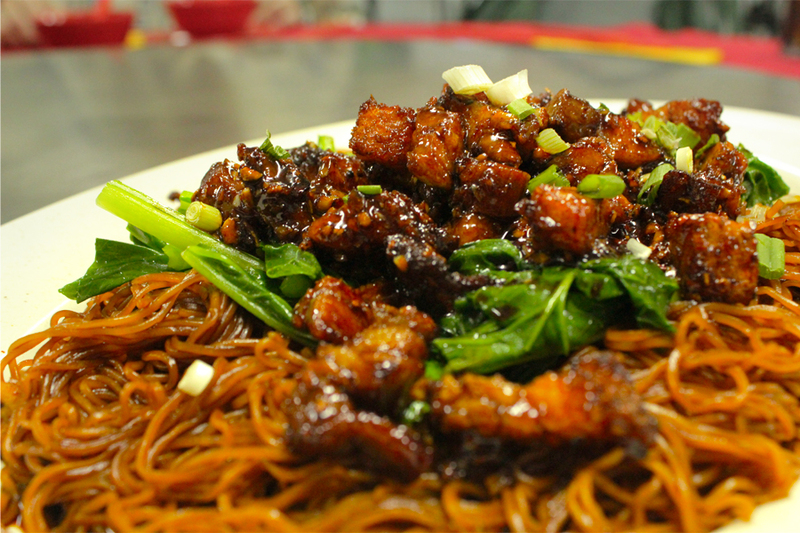 Besides their famed wings, Wong Ah Wah is well-known for it's Roasted Pork Noodles (Price varies from RM11.00 to 30.00) as well. The noodles is cooked just perfect and has a nice bite to it, paired up with the sinful, yet fragrant lard and chunks of roasted pork - this is a must order too. 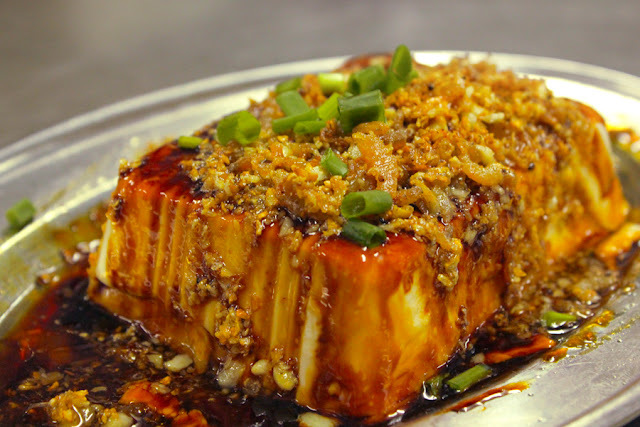 The service staff recommended us Tofu w/ Salted Fish (price unavailable) - a whole block of silky soft beancurd topped up with sweet sauce and generous portion of salted fish. It is a wonder how simple and inexpensive ingredients paired up to become such a delicacy. Salted Eggs Fried Crab (seasonal pricing) is the only dish which brought a little disappointment. 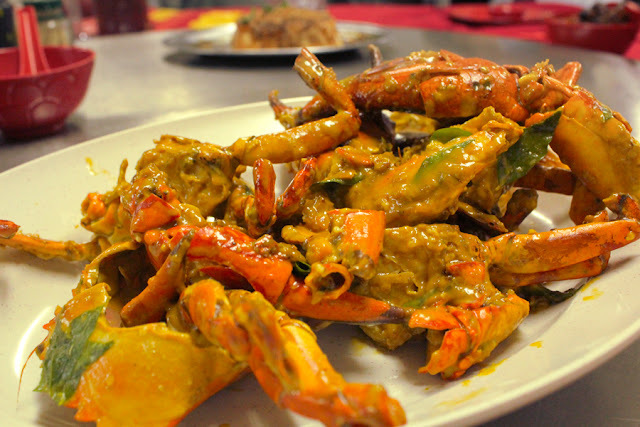 Their salted egg sauce was very well-done, but it doesn't gets into the crab meat, rendering it rather bland. The crab was a little over-cooked as well. While the meat was supposed to be sweet soft and succulent paired with the salted egg sauce, this dish has failed to attain that standard. Overall, a good place for dinner and a must-try if you happened to be in Kuala Lumpur. Although not a healthy one, but again.. just work your guilt off later on! 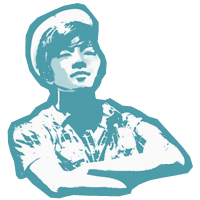 For me, I will definitely be back again for more of those chicken wings and other local eats.